Do you know what is totally impossible to find in stores right now??? 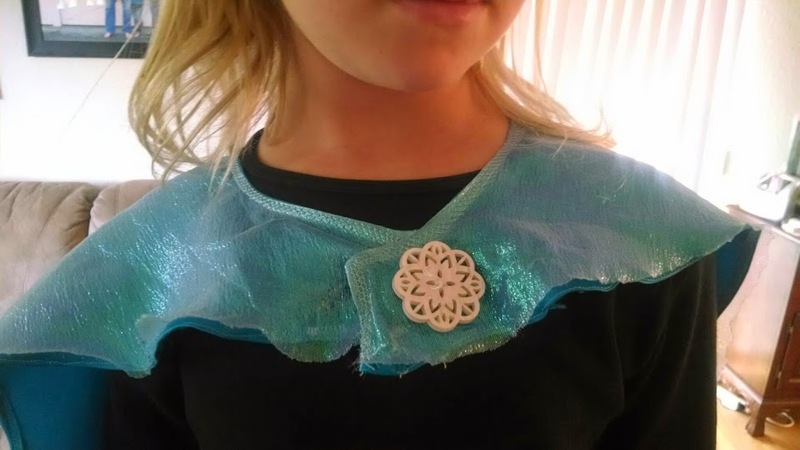 Frozen dress-ups. Do you know what my girls are dying to have??? 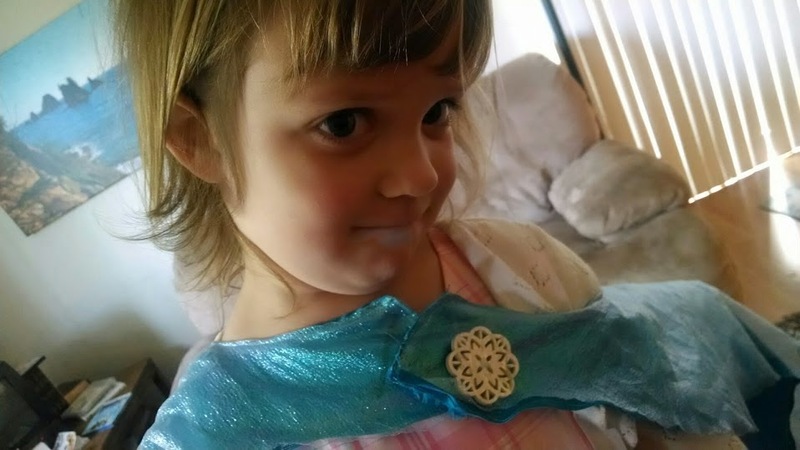 Frozen dress-ups. Solution? Make you own, of course! 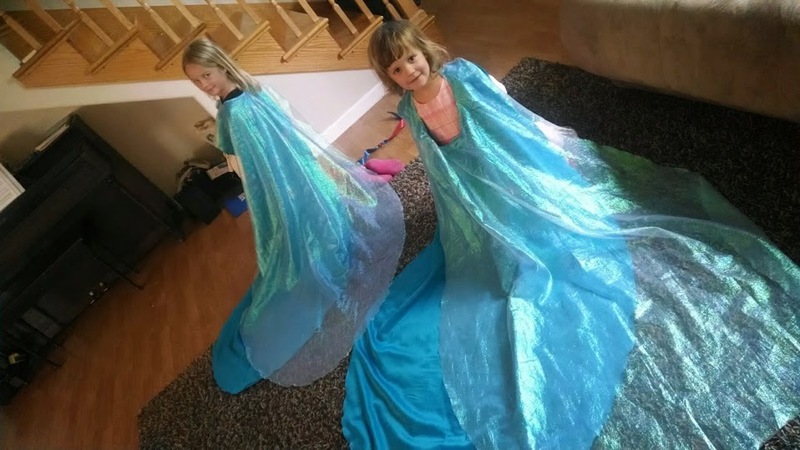 I wasn't feeling up to making a full out dress, so we agreed on a shimmery Elsa cape! We had a fun trip to JoAnns to pick our fabric and one large snowflake button. *An opaque layer underneath the shimmery sheer. It has glitter in the fabric; what more could you want?? *I finished the edge of the sheer layer by melting it, as suggested in the pattern, but I just hemmed the opaque layer. Then, I sewed the two layers together around the neckline and flipped and top-stitched around the same edge. 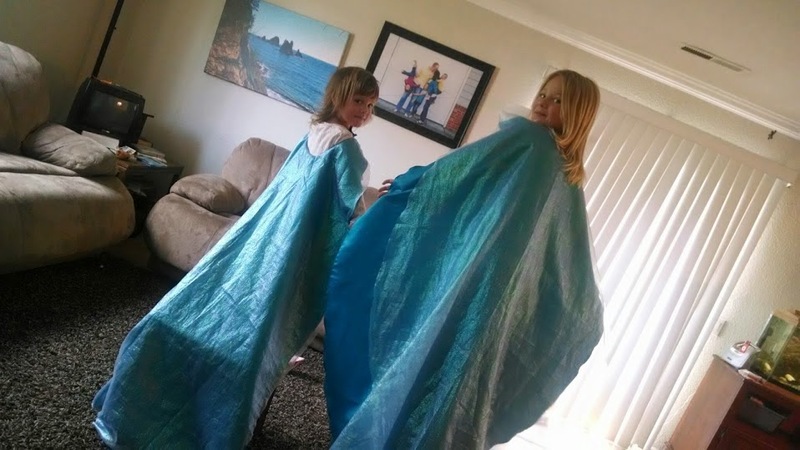 The girls have loved singing and dancing and prancing around in their beautiful capes! Good job! Those capes are gorgeous! Hey dear Danielle! I need your email address. Could you email me? thebosleys (at) gmail (dot) com. Piano Recital and Aircraft Carrier!